Are you looking for a special taste of Highland? 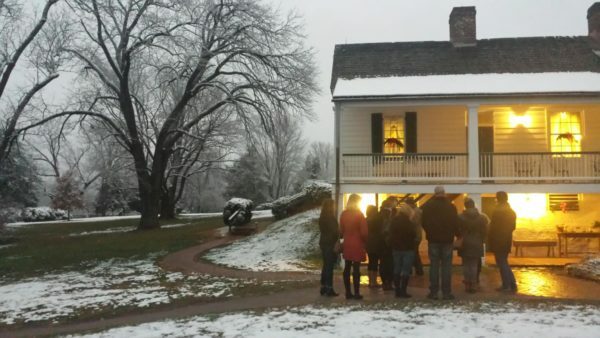 Join us for an after hours holiday tour and open hearth cooking at the home of President James Monroe. This small-group program will be offered at twilight on four dates in December. Open hearth cooks Pat Willis and Sharon Heard will lead participants in making several different Monroe era desserts, which guests will enjoy by candlelight. While the desserts are cooking, guests will enjoy a guided visit of the Presidential guest house and museum spaces decorated for the holidays.